Chapter 7 bankruptcy is a debt solution provided by the bankruptcy courts to allow you to completely discharge debts so that you will not be required to pay back the debt due to your financial situation. A bankruptcy is a right that is provided to you which can be filed no more than 8 years after a previous Chapter 7 bankruptcy filing. Of all the various types of bankruptcy, Chapter 7 bankruptcy is the most common solution for consumer debt, but it can also be used for businesses and business debt in what is called a non-consumer debt Chapter 7 bankruptcy. 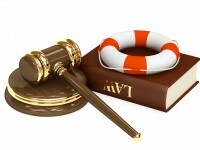 If you or your business is dealing with unmanageable debt and are faced with lawsuits or collections activities such as foreclosure, threatening creditor phone calls and creditor harassment, bank account levies, wage garnishment, eviction or any other difficult situation related to debts, contact Bankruptcy Law Professionals to immediately assist you with your situation. Our experienced attorneys and staff will provide you with the guidance and direction you need to stop collections activities and relieve you of your debts under the bankruptcy code. Whether you are facing a foreclosure of your home, a repossession of an automobile, a judgment or lien, past due credit card debt, past due payments on a pay day loan, medical debt, cell phone bills, or any other type of debt, our consultation will present you with a structured plan to relieve you of your debts within a short period of time through a Chapter 7 filing. A Chapter 7 filing will provide you with an automatic stay that will protect you from collections activities as soon as the bankruptcy is filed. Retaining our office will also immediately stop any contact by your creditors as we will be representing you in all creditor communications. Chapter 7 bankruptcy service with Bankruptcy Law Professionals always begins with personalized, one-on-one service in a free consultation with our attorney. The free consultation will allow us to get informed on your situation and the debts you are dealing with, but will not commit you to any sort of obligation or commitment yet. You can choose to meet our attorney at one of our offices or hold a phone consultation for your convenience. Payment arrangements are always available for our clients. We know you are in a difficult financial situation which is why we can tailor a custom payment plan for you depending on what you can afford. Assistance can be provided immediately by retaining our office during the consultation or you can take some time to consider us as an option if necessary. Please click SEND to submit your information for a free bankruptcy evaluation. Your information will be kept confidential with Bankruptcy Law Pros and will not be shared with any other parties outside of Bankruptcy Law Pros.